Posted <2017-04-14 Fri 20:04> by Aaron S. Jackson. Lew with a big computer. Unfortunately I don't remember what is was. However, the big boxes behind him are hard disks. Yay! 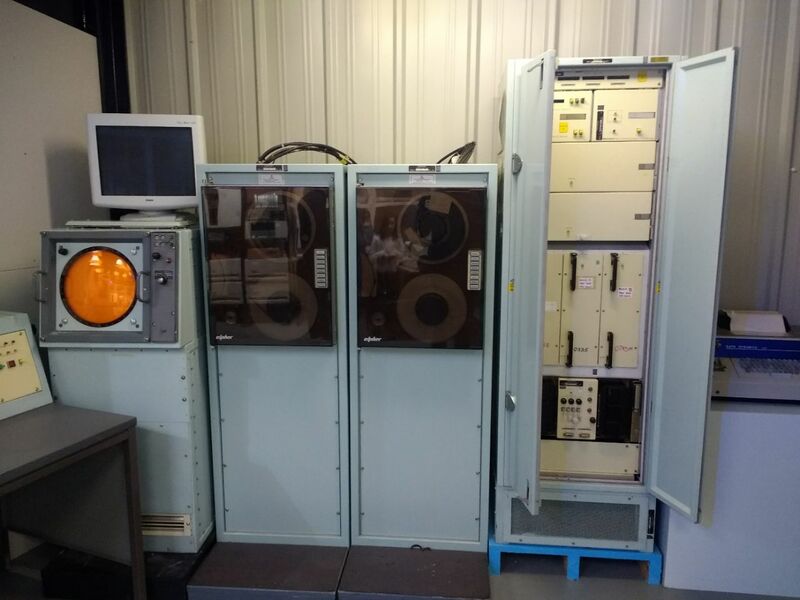 A PDP8/e. Nice to toggle the switches, but unfortunately not powered up. 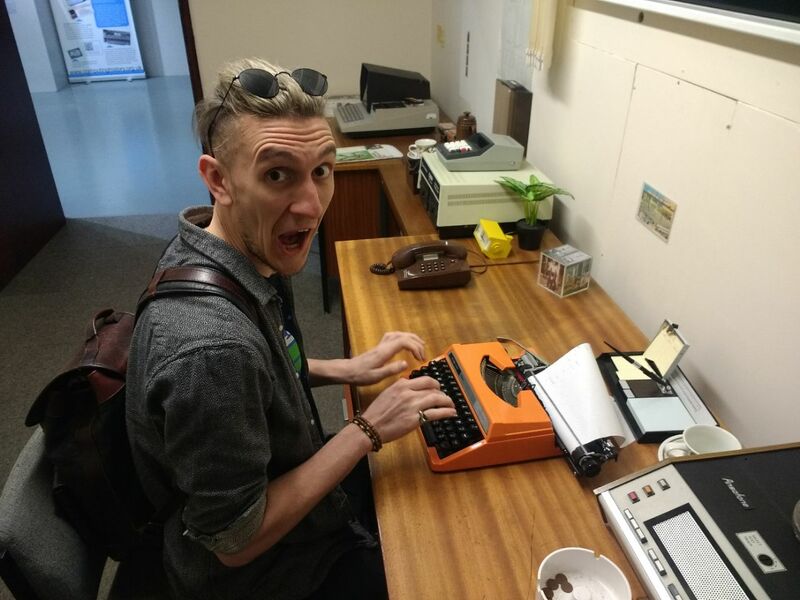 Lew playing with a type writer in an Office of the 80s. 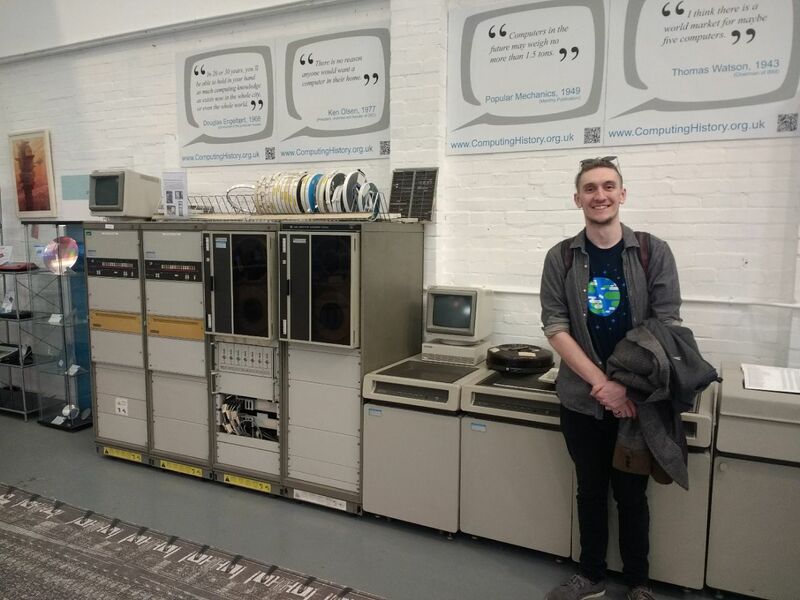 Me with a couple of faceless PDP11s. 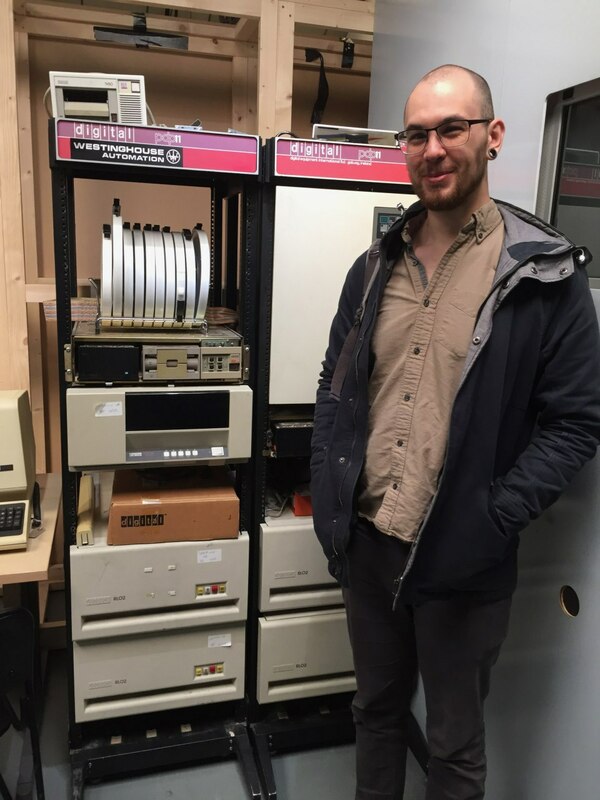 I think one was a PDP11/23 and the other was a PDP11/73. I waned to take them back with me. 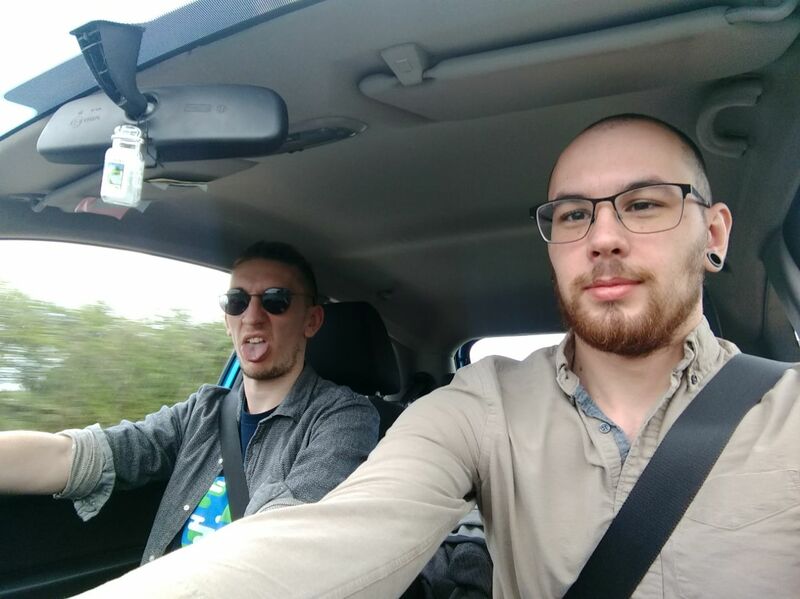 Off we go back home. Over all, a good trip. 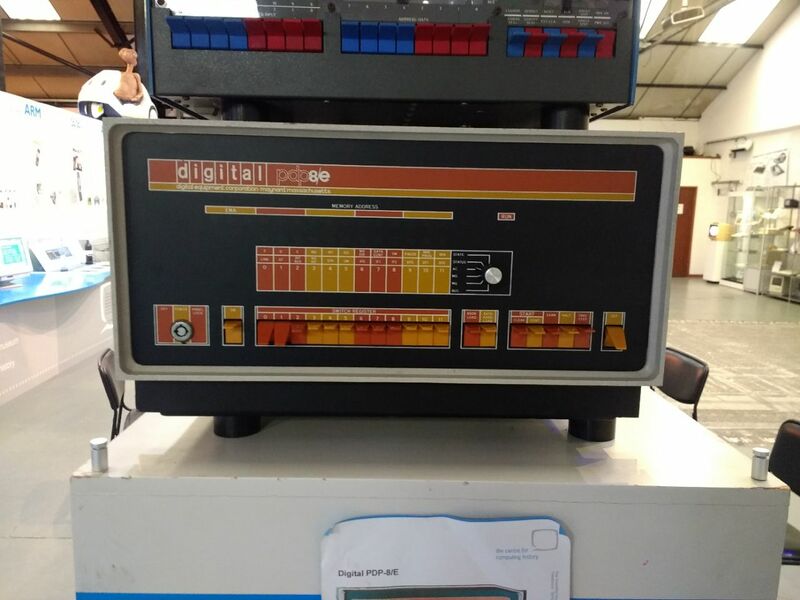 Would have been nice to see a PDP11/70, or any PDP11 that isn't LSI, but never mind. Worth the trip.